The Rembrandt stairlift is the perfect choice for anyone who wants or requires a stairlift to be fitted to the inside of the staircase. The actual track of the Rembrandt stairlift runs above the narrow side of the stairs where the banisters typically are leaving, the broad section (the wall side) of the stairs completely free for other people using the stairs. The Rembrandt stairlift from Handicare one of the worlds largest stairlift suppliers has been thoroughly tested and approved by worldwide independent inspection services. 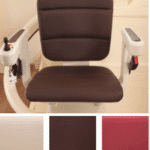 This assures all of our customers that this stairlift meets the highest standards in terms of quality and safety. Maximum load capacity 125 kg. 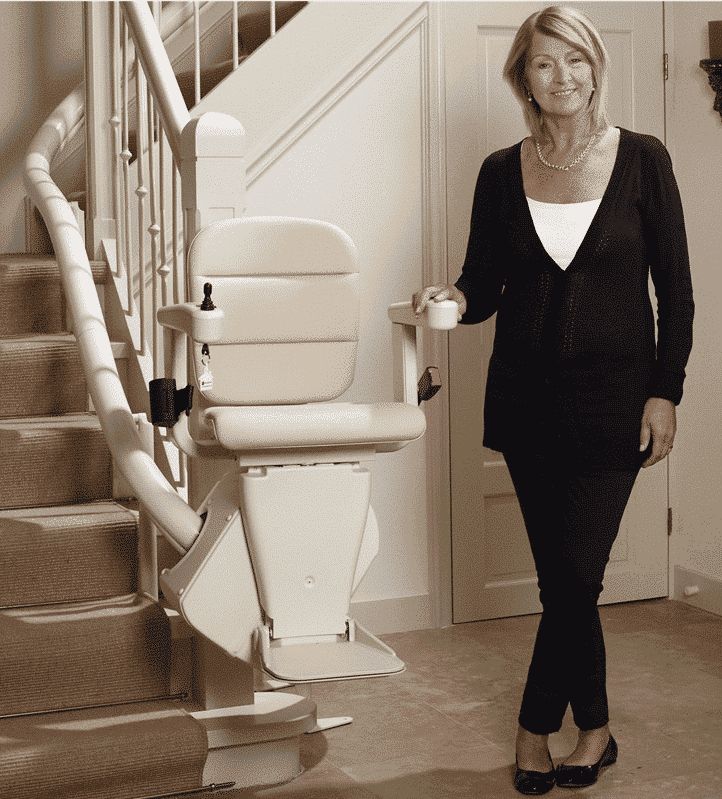 The Rembrandt stairlift can be fitted with a seat to suit your requirements and the decor of your home. 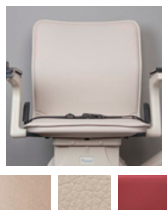 The Elegance seat has ultra soft padding for your comfort which combines beautifully with its elegant design giving this stairlift seat a truly luxurious feel. The seat has a protective layer which means the Elegance seat is both easy to keep clean and highly durable. Another feature of the Elegance is that the armrest can be adjusted outwards to create a wider seat. 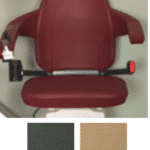 The best selling Classic seat for the Rembrandt stairlift has been designed by occupational and physiotherapists. For this reason, the Classic seat is extremely comfortable. Soft padded upholstery and a leather grain finish mean that the Classic seat is easy to keep clean as well as looking marvelous. 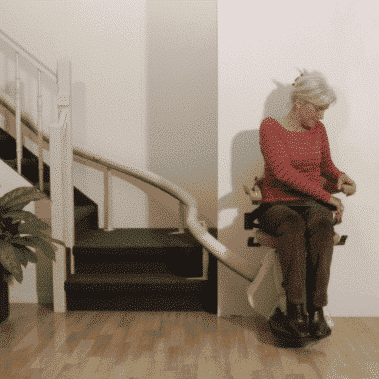 The Basic seat for the Rembrandt stairlift is simple and stylish. 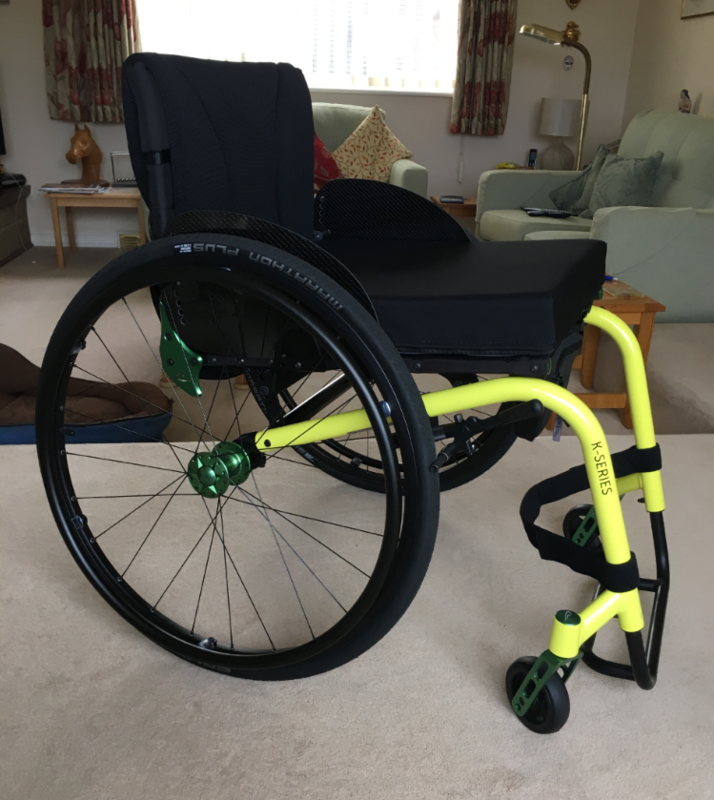 The basic seat is a fantastic affordable and convenient option giving the user great comfort and reliability. 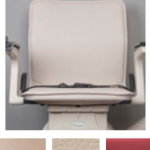 The Basic seat comes in a range of colors and a choice of easy to clean wear-resistant fabric or cream-colored leather-grain finish. 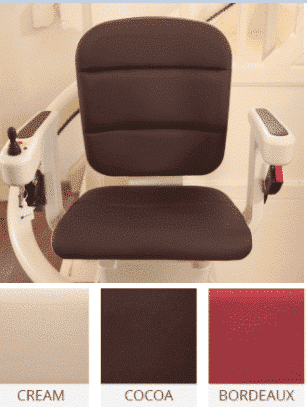 The automatic swivel function will rotate the chair upon arrival on the landing. 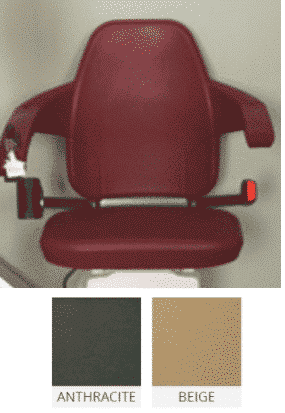 The seat rotates and adopts a neutral position which will allow you get off from your seat safely. This safety position also activates when you use your stairlift to go down stairs. 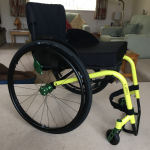 Turn and Go is an additional option that can be added on our Van Gogh and Rembrandt stairlifts and is available on our Classic, Elegance and Alliance seats. All seats are equipped with a manual pivoting function. This ensures the pivoting of the seat in the direction of the bearing. For even easier use, the Classic and Elegance seats can also be equipped with an automatic pivoting function (auto-swivel). Having a stairlift installed in your home will normally take just a morning or afternoon and is simpler and more stress-free than you might first imagine. With many years of experience installing stairlifts into our customers' homes, Easy Mobility Services are experts not only in fitting stairlifts but knowing which stairlift is right for you. We have expertly trained surveyors and engineers who will discuss every aspect of your stairlift installation with you so that before any work is carried out you are will be completely confident and excited about getting your new stairlift fitted. Our surveyor will be able to show you what your stairlift will look like in your home using the amazing Handicare Vision App allowing you to see what styles and options would be best for you and your home. We also have working stairlifts to try out for yourself at our mobility shops in Colchester and Braintree. If you would like to know more about having a stairlift installed in your home please read our guide to stairlift installations or simply give us a call and talk to one of our expert and friendly team at Easy Mobility Services who will be more than happy to answer any questions you have.